Copper and brass have been used through the ages to make many items; due to the low melting point and the ability of this easily worked metal to remain soft enough to turn into roof tiles, containers and useful household things like plumbing pipes. There are many older buildings and statues that today show the weathering and age that there is no way of faking. Originally brightly polished, the roofs on buildings such as the Vancouver Hotel in Vancouver, British Columbia has now taken on the patina of age. No longer is it brightly copper colored, or even the toffee color that copper changes to as it starts the aging process, but now it is the most intriguing soft green. 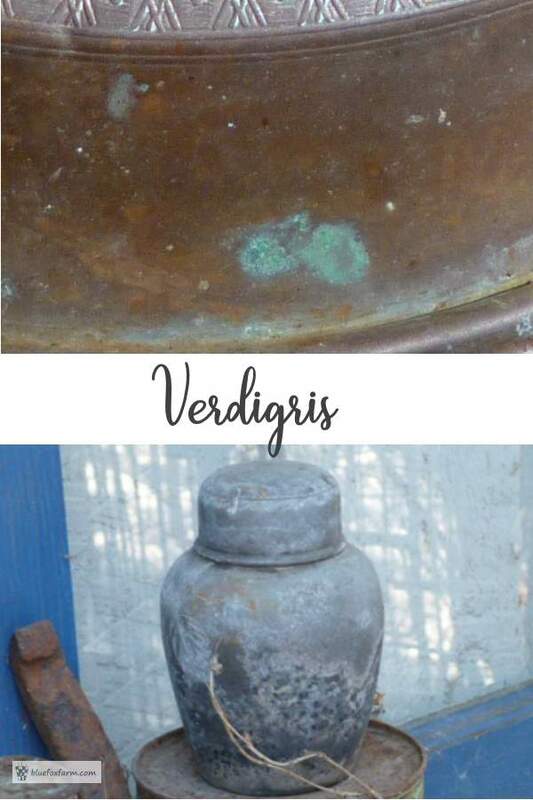 This green or blue is the result of oxidization, the interaction of the metal with air and water, which gradually causes the outer layer of the metal to turn this color. Another famous landmark that is made from copper is the Statue of Liberty. It would look odd if it wasn't the green color that we recognize today, but originally it would have been copper colored. 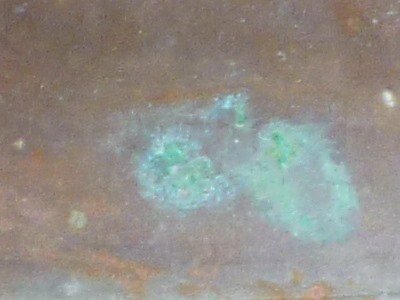 It's only after decades of exposure to rain and weather that it oxidizes into the lovely pale green of verdigris. Some of the best cooking utensils are made of copper, but the fact that it does oxidize and turn green is one of the drawbacks for this use. Luckily, if you have access to some green copper, you can make all kinds of garden art with it - from wind chimes to statues and sculptures. The exposure to wind, rain and weather will just improve it with age. Using vinegar or muriatic acid in a spray bottle or brushed on will accelerate the process. Keep in mind that these acidic compounds can cause damage to plants, cloth or wood so avoid overspraying.